Happy Thanksgiving weekend everyone! The boralogue this week points out deconstructionist attempts to redefine Thanksgiving, shifting it from the ideals of freedom, liberty, and personal responsibility to focus on conquest of Native Americans while promoting social Darwinism. But don’t worry – John reminds us of the truth. There’s a relationship between the values that emanated from the Reformation and what we celebrate during Thanksgiving. 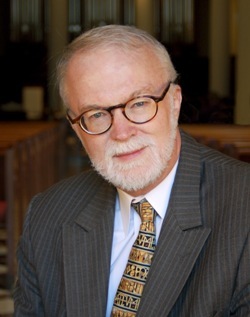 Dr. Timothy George (www.beesondivinity.com), is founding Dean and professor of Divinity History and Doctrine at the Beeson Divinity School at Samford University. He kicks off the show speaking on church history and what the Reformation accomplished. Michael Connelly, (michaelconnelly.jigsy.com and www.usjf.net), constitutional attorney and Executive Director of the U.S. Justice Foundation, continues his analysis of the U.S. Constitution this week by examining amendment number 24. 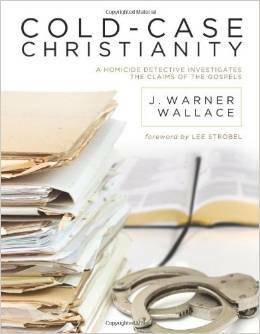 Next on the program, J. Warner Wallace, (www.coldcasechristianity.com), homicide detective and one-time atheist is author of the book Cold-Case Christianity. He relates how his former views of atheism yielded to an honest examination of Christian claims like a detective would do, and points out that Christians should be better equipped to defend their faith. John finishes the program this week by demonstrating how faith is actually a logical leap, even after examining mounds of evidence, and how several major religions begin with similar basic assumptions, but only Christianity offers God’s free gift of redemption. 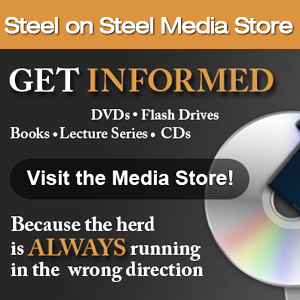 Because of the holiday this week, we are skipping Section 6, but rest assured, it will return next week.